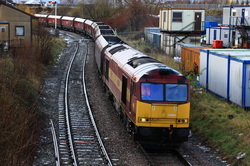 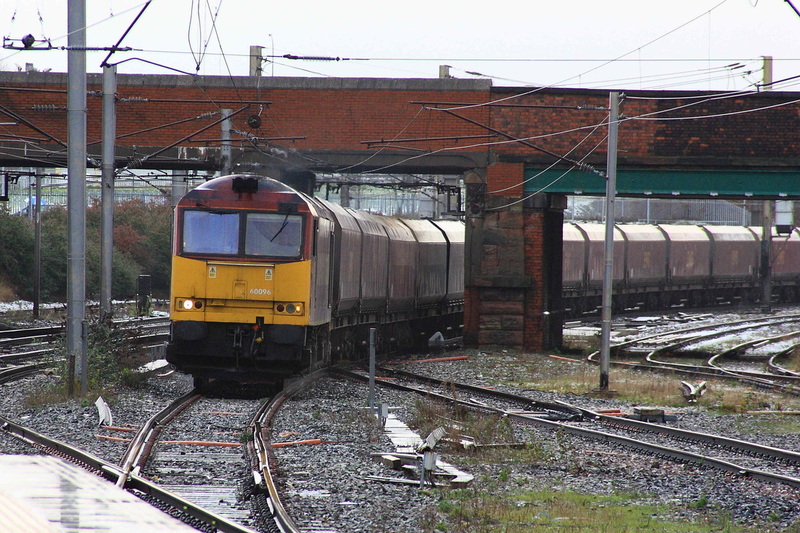 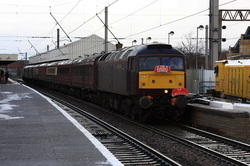 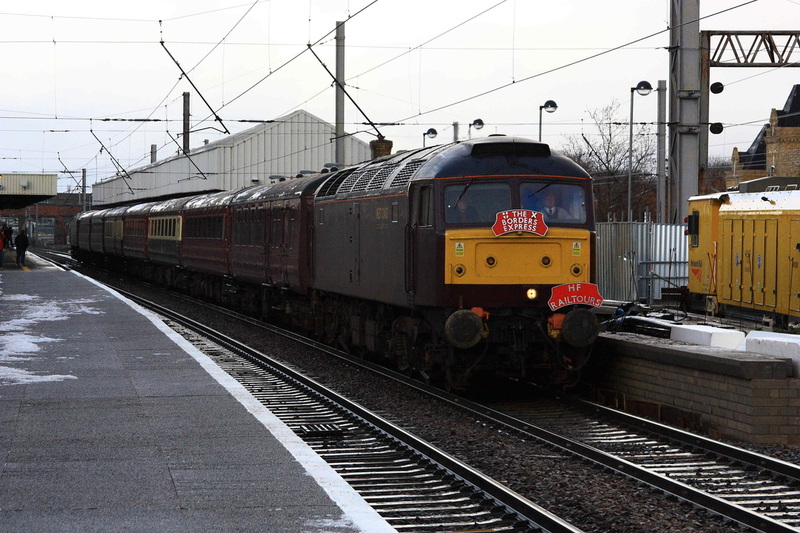 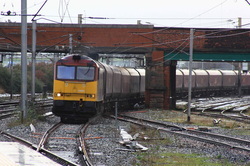 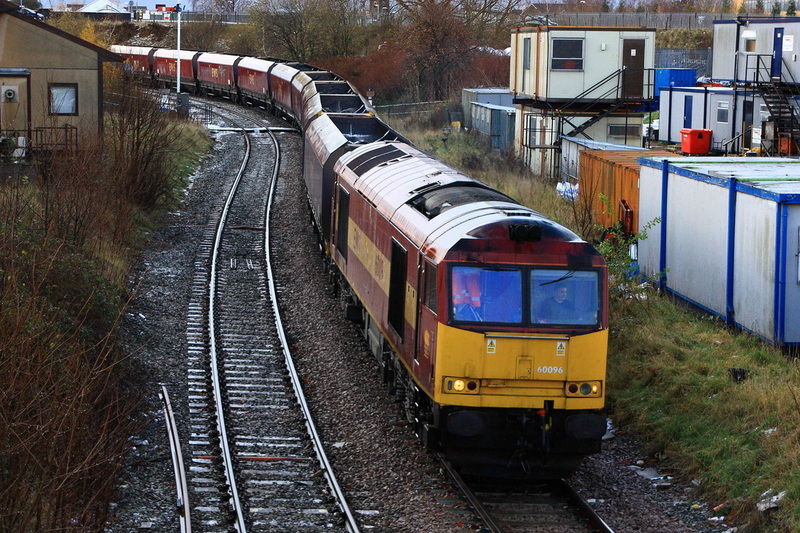 EWS 60096 approaches Warringon Bank Quay station with a loaded train bound for Fiddler's Ferry Power Station. 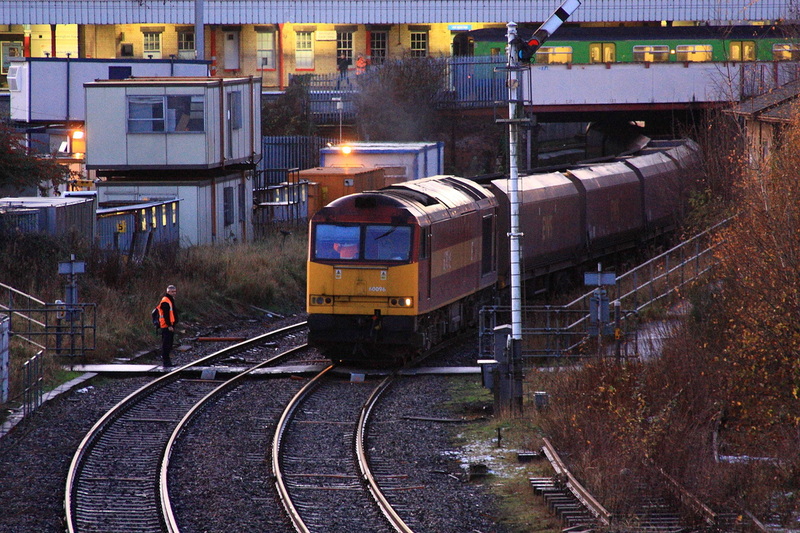 1Z66 arrives back into WBQ with 60011 passing a former Centro 150 unit in platform . 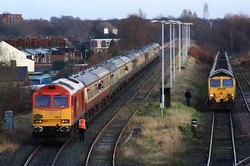 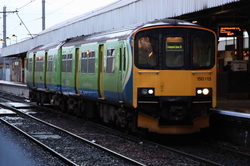 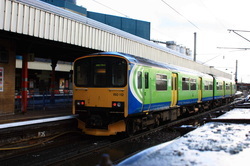 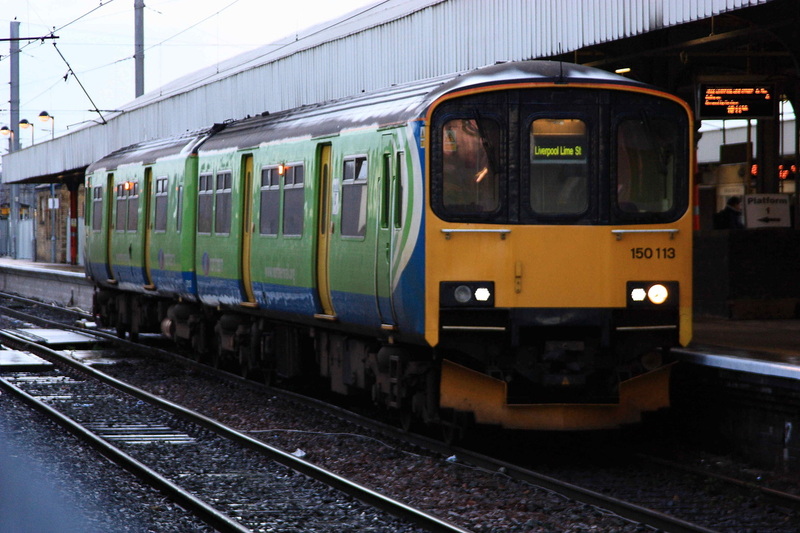 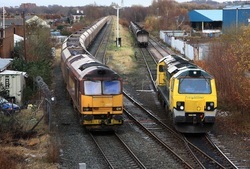 The railtour would now head to Walton, Latchford, Fiddler's Ferry, and all points round about, before finally the RMT and then back home in Darkness. Just for the record, former Centro unit has had Northern brandings applied to the side. The unit awaits departure to Liverpool with the 15.22 service. 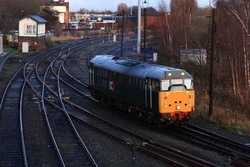 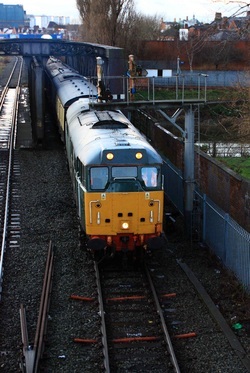 Super Gronk 31601 deputises for the unavailable 08, (which had been out of action for a while), seen here crossing the bridge over Wilderspool Causeway and entering Latchford. The 60 was on the back. 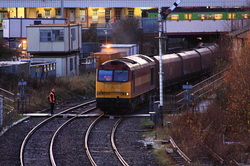 At this stage of the day, the light was rapidly going, so the camera was set to ISO800 for the following shots. 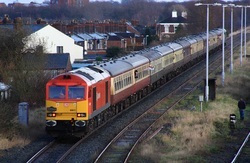 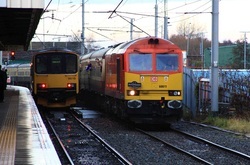 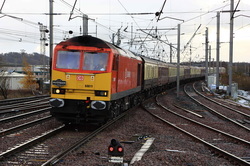 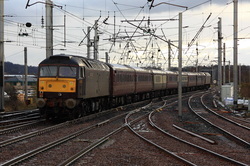 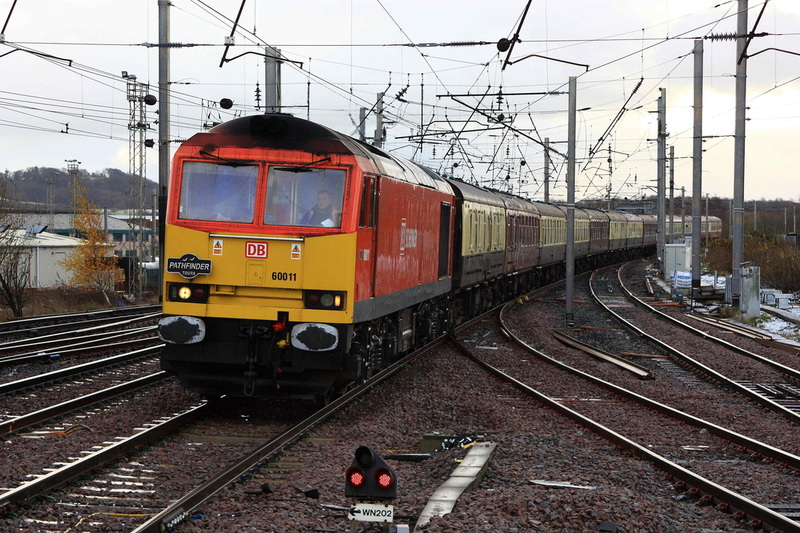 60011 stands in Latchford, awaitng the detachment of 31601 from the back of the train. Note the trespasser on the extreme right of the shot.